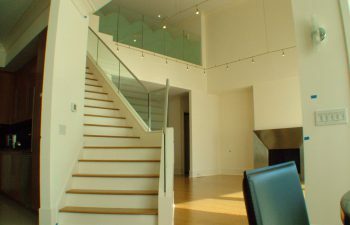 Southern Staircase offers prefabricated stairs to home and commercial projects nationwide! As a staircase manufacturer, we offer prefabricated stairs at competitive pricing. Gallery showcases previous projects completed by our award winning team. Contact us for a free staircase quote, or to learn more our our products and services. Southern Staircase is an award-winning stair company. Since 1982, Southern Staircase provides design, delivery, and installation services to Homeowners, Architects, Home Builders and Commercial Builders across the United States. In addition, some of our completed staircase projects can be seen on the popular television series, “Extreme Home Makeover.” Our staff consists of expert Architects and specialized Designers. Using the latest advancements in technology, the stair design process is streamlined, simplified, and fun! Not sure where to begin and need a little inspiration? View our gallery for more ideas! Or, Contact Us for a free design consultation today.